When shopping for the holidays, the checkout counter is not the best place to make a quick decision about your credit. Before you impulsively open a credit card at your favorite store, read the fine print and consider the information below. Their interest rates are higher. Store credit cards charge an average of 23.84% interest with a short introductory rate. Many offer attractive sign-up rewards to get your attention because they will easily make the money back with the higher APR. Higher interest rates are often standard for stores as cards are offered to everyone, including higher-risk applicants. That means even if you have an excellent credit score, you may still have a lower credit limit and higher interest rate. Retailers want you to sign up for and use their credit cards. If you’re in a store, chances are, you plan to purchase a few items. If you’re offered a 20% off for signing up for or using their credit card, how likely are you to buy a few more items? Stores will entice you to spend using their credit card by offering promotions such as sales, discounts, or rewards – don’t fall for it! Taking advantage of the one-time deal can cause you to buy more than you normally would. It’s easy to get caught up in special deals. Keep in mind if you spend and don’t pay off the card right away, you could end up owing more in interest than what you saved with their offer. Retail credit cards are most beneficial if you’re particularly loyal to that retailer and, for some, you need to meet minimum spending requirements to receive rewards. Comparatively, traditional reward credit cards give you the ability to earn wherever you shop, on any purchase. It could impact your credit score. 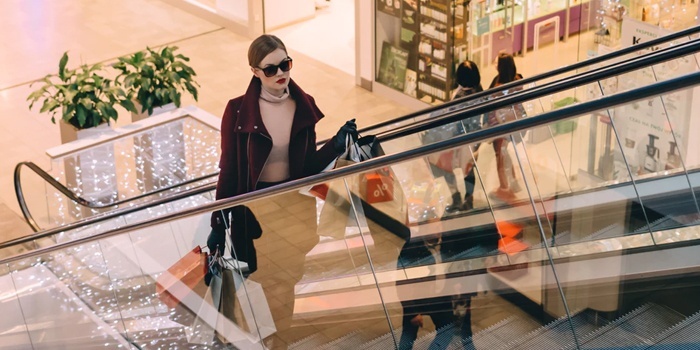 As you shop at various retailers this holiday season, opening a new store line of credit can impact your credit score, especially if you’re applying for multiple within a short period of time. More than a few inquiries can be a red flag for lenders as you may appear desperate to borrow. Ultimately, it comes down to your own buying habits and lifestyle. Juggling multiple credit cards involves a significant amount of planning to make payments on time as missing a due date could lead to fees or a drop in your credit score. Practice smart shopping this season with the best credit card to fit your needs. Whether you’re looking for travel rewards, cash back, or just a great rate, traditional credit cards will help you without losing out by paying more. High-interest debt can cause financial strain. Consolidate your high-rate balances to a low-rate GECU credit card and save on the amount of interest you'll pay.